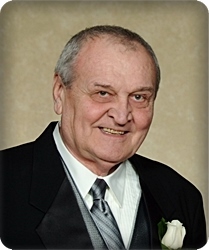 Austin "Bud" Thomas, age 81, of Grand Rapids, passed away on Saturday, October 27, 2018. Bud proudly served his country in the U.S. Marine Corp. He is survived by his wife of 19 years, Ruthann; his children, Amanda Allam, Andrew (Danielle) Nims, Jake Nims, Aaron Morse; and grandchildren, Lexi Nims, and Jack Nims. The family will greet friends and relatives on Sunday, November 4, from 4 - 6 pm at Stroo Funeral Home. In lieu of flowers, memorial contributions may be made to Faith Hospice at Trillium Woods.